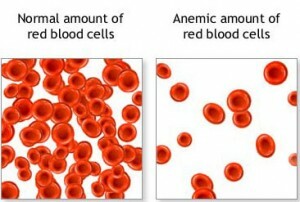 My anaemia is becoming a real problem. I'm calling the MW in the morning. Freddie had a great night last night, one long feed 1-2 and then a shorter one at 4:20. Only after the last feed I found I couldn't breath well enough to lie down. As soon as I do I struggle - a lot. I'm gasping for air and coughing and it doesn't get better. I'm not too bad sat up, but sometimes I get breathless for no apparent reason. Climbing the stairs does me in completely, and I'm yawning and coughing my way through the kids bedtime stories. I've looked up post-partum anaemia and this is something that can happen, along with palpitations. All to do with not having enough oxygen flowing through my body because the the iron deficiency. Oh the joy! I'm still talking the iron tablets (and suffering the grim side effects) but my breathing it getting worse. My blood loss has increased a little too. Not much, and without the breathlessness I would ignore it. There are no clots or nastiness in it or anything. But I'm going to mention it tomorrow. Its p***ing me off to be honest. Everything else about having Freddie home is amazing! The boys LOVE him, and he's such a good baby. I almost always wind up with at least one extra kid cuddled up with us when I feed Freddie. They worry over his sticky eye, come running whenever he makes a noise, call me repeatedly if he starts to cry when I'm on the loo and don't pick him up the instant he starts. Georgie gave him a cuddle today and said "best baby bean world!" Which is the kind of phrase he's always reserved for me (best mummy, mummy world) and my poor poorly palpitating heart almost burst with joy. I just want to be able to BREATH and enjoy all this properly before it's past.